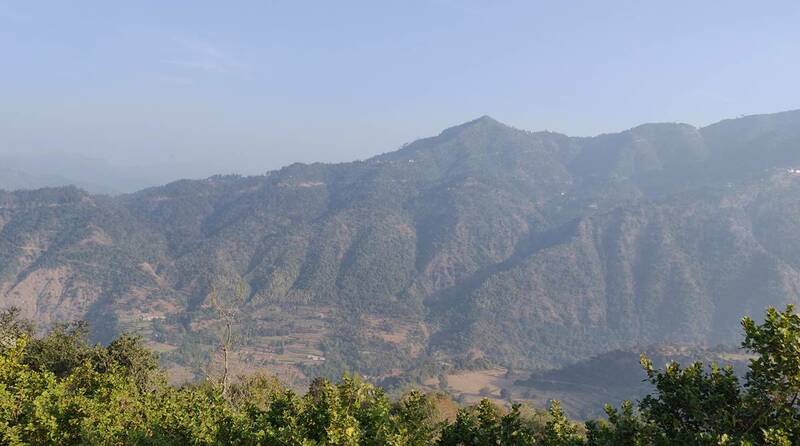 Morni Hills is located near Chandigarh. It was an early Monday morning in Mumbai, as I was woken up by good friend Pritish Anand. At the time of the call, of course I did have the choicest words to describe him, but he persisted. 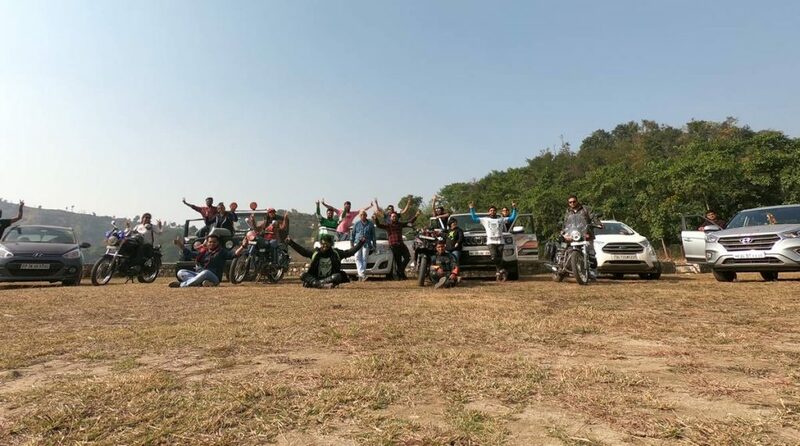 So, Pritish was organizing a trip to Morni Hills near Chandigarh for the avid members of RTCDelhi and there had been word that the core team was specially invited. The boys had specifically asked for me, and there was no other go. Pritish Anand heads the Delhi chapter of Road Trippers Club (RTC) – a community platform for like-minded travelers to come together and road trip together. With the drive 5 days away, I decided to pay a visit to our community in New Delhi. I took the trusty Scorpio out. The car – heavy pounds of all metal had done over 15000 km in less than 6 months, having been part of most RTC drives since April. Starting on first day – from Mumbai I took the route via Gujarat and Rajasthan. I loved the roads in Gujarat as I made good time to reach an industrial town called Halol by afternoon. I found a great place off the highway and started the next day via the state highway and entered Rajasthan. The roads in comparison to Gujarat were mostly dug up and that the national highway needed so much more work to be done was disappointing. I reached Ajmer on the second day. I had been to Ajmer when I was a kid with Dad, and it was a road trip too. In the evening, I stepped out to visit the Dargah and also enjoy some delicacies. It was a very fulfilling meal indeed when I saw the waiter dish out some of the best things from the kitchen after I had given him a free hand to bring whatever pleased him. All I paid was 300 for the meal which included a Biryani, kebabs, and a couple of curries, kheema and chicken legs. I tipped the good man another hundred and made way for a decent sweet shop. 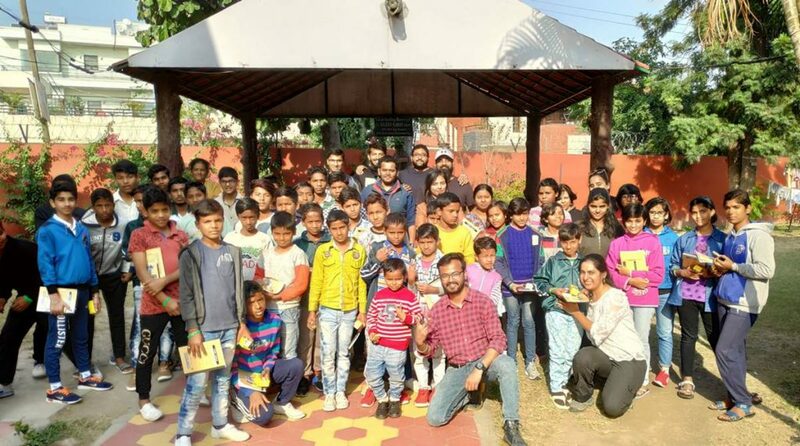 RTCDelhi, had planned a visit to an orphanage on 2nd day and Pritish had requested something special for the kids there in Bal Niketan Panchkula. Khan Chacha, an affable old man suggested only one item and I could see that he gave me a considerable discount after I told it him who the sweets were for. 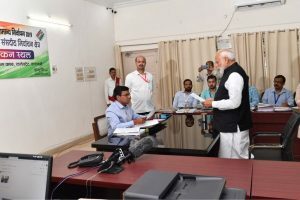 “Beta, aap anaath ashram ja rahe ho. Yeh badaam waala leke jao. Isse accha nahi milega yahaan”. I took Khan chacha’s word and made my way back to the hotel. The sweet I had bought in Ajmer is called Sohan Peda. The next day, I started early and reached Gurgaon by noon. The roads were more merciful this time around. So, the drive briefing was very clearly made by Rahul Deval – the drive captain. Each drive has a captain, and this was no exception. The ‘Thar boy’ of RTCDelhi was the man incharge and he had shared all the details required to know the day before. I was excited. Chandigarh was my childhood home for 4 years. While Pritish had a big role to play in making me road trip from Mumbai all the way solo; it was also the itch to see what Chandigarh was like these days. We started at 7AM the next day after assembling at Noida; and made our way to the first pit stop – for the most important meal for any road tripper. Breakfast was hot – piping aloo paranthas! Dear lord, thank you for feeding us such lovely paranthas – oozing with white butter and with a pitcher of lassi and chaas. It was the breakfast for kings! How I had missed this for all these years of having lived in Mumbai. After a very clear and strict drive briefing, we left the spot and started weaving through the traffic. With all instructions very clearly given we beat the traffic on the Delhi – Chandigarh highway by snaking through. There were 6 cars in all with 4 bikes. We reached outskirts of Chandigarh by noon and then sped off on the Himalayan Expressway to enter the non-descript roads that led the way to Morni Hills. I’d like to mention that Morni Hills is probably a very well kept secret amongst all the Chandigarh residents and even those in Delhi. It is probably the closest hill station to Delhi and stone’s throw away from Chandigarh but no one seemed to have heard about it at all! We reached our resort by 2:30 PM and the resort fellows had kept our lunch ready. It was piping hot dal and paneer. Simple, but so tasty! Served with phulkas, it was all we needed! Now was the room allocation time, and after ensuring that we gave preference to the women, couples and families – the rest of us started pitching tents! The mood was being set for the evening! By 6PM, it had started getting dark and the bonfire was being prepared along with the barbeque. One of guys had a speaker too. This was going to be just fine. I mean think of this – North Indian Winters. Check, Great People. Check, Great Food. Check. Great music, check! RTCDelhi knows how to party, and they had taken it upon themselves to keep on partying till the fire died out. This I later came to know was 4 AM, since I had dozed off much before that! The next morning, we headed first to Tikkar Taal and then sped off to the orphanage – Bal Niketan in Panchkula. All of us pooled in to buy around 60 sets of notebooks, pens, pencils and sweets. This was clearly the highlight of the trip and all of us only wanted to spend some time with the kids. After a good hour of talking, laughing and inspiring them to be careful on the road we made our way back. Return journeys are very invigorating. After having met some of the most amazing people, and being on the road for so long you’re making your way back with memories, friends, and bonds that last a life time! Monday morning, I again started my solo road trip back to Mumbai. This time I decided to take the route via Madhya Pradesh and started regretting it greatly. With close to around 400 km of roads in Madhya Pradesh in dire need of work, it made the progress very tiring. But I came back via Noida – Agra – Gwalior – Shivpuri – Indore – Kalghat – Mumbai in three days. A lot of members across RTC chapters asked why I would travel solo all the way to Delhi. All I said was, when a brother calls – you answer in true road tripper style! Also when you have Kishore Kumar songs on the playlist – Hum chalen jaate hain kissi dhun mein!